The United States is not covering up the murder of Saudi journalist Jamal Khashoggi, the US Secretary of State has said. Speaking during a visit to Hungary, Mike Pompeo said that the US will continue to investigate the murder of Mr Khashoggi at the Saudi consulate in Istanbul. "America is not covering up for a murder," he said, adding that the US would take more action to hold accountable all those responsible for his death. 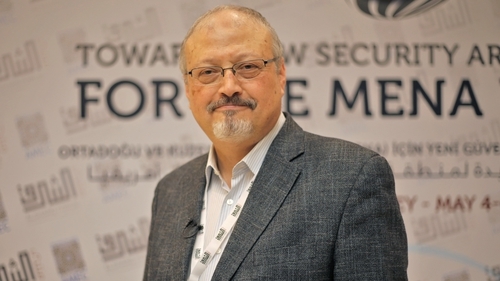 The US-based journalist was killed inside the consulate in October 2018. The Trump administration had faced a 8 February deadline to submit a report to Congress on who was responsible for Mr Khashoggi's death and whether the US would impose sanctions on those behind the killing. On Friday, a State Department representative said Mr Pompeo had briefed politicians on the murder investigation but gave no other details. Democratic US Senator Tim Kaine, a member of the Senate Armed Services and Foreign Relations committees, said yesterday the required report was not submitted. "This amounts to the Trump administration aiding in the cover-up of a murder," Mr Kaine said in a statement. "America should never descend to this level of moral bankruptcy."